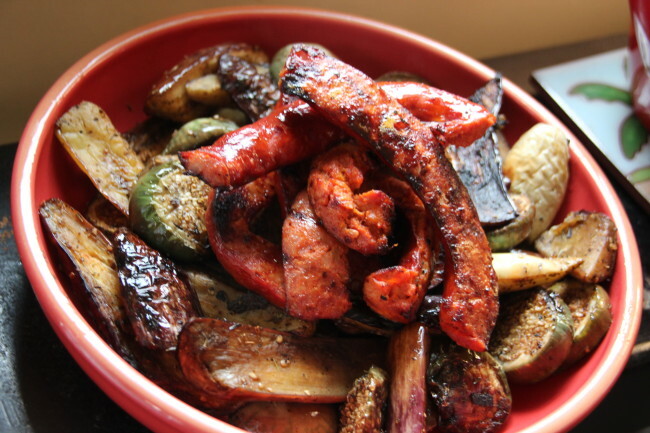 With grilling season just beginning, I love to take eggplant tossed with herbs and extra-virgin olive oil and combine it with a grilled sausage of choice. Great fresh flavors. See for yourself…. Two medium eggplant or 2 lbs of mixed Japanese eggplant. 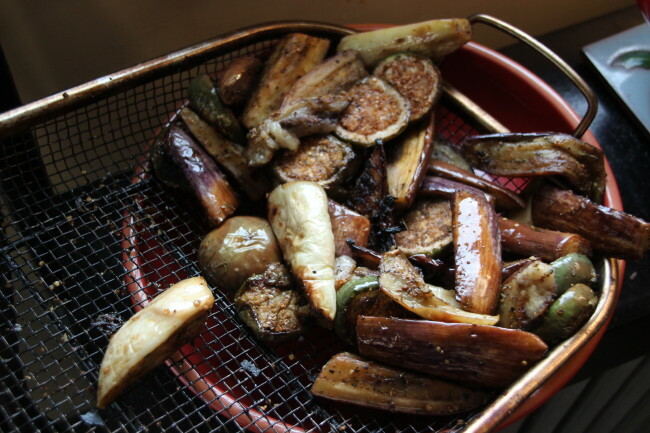 Slice eggplant into thick strips as seen in my pictures and coat with oil, herbs, salt and pepper in a large bowl. Grill over a nice hot charcoal fire in a stainless steel wire basket, adding the sausage to the grill 5 minutes into the cooking time of the eggplant. Toss the eggplant occasionally to grill evenly. Remove when the eggplant is nicely charred and tender. 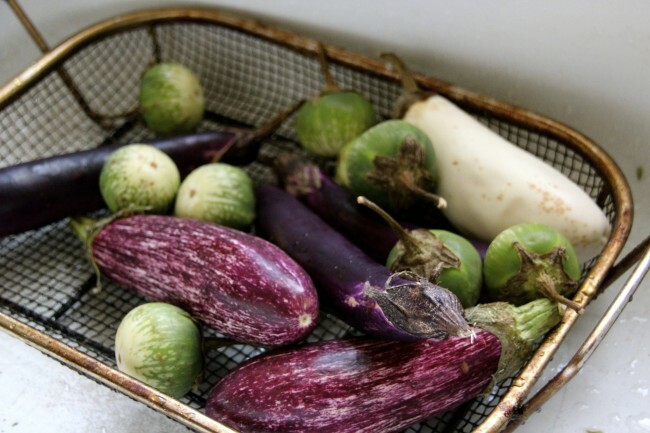 Add more seasoning if necessary to the eggplant as well a a splash of extra-virgin olive oil and lemon. 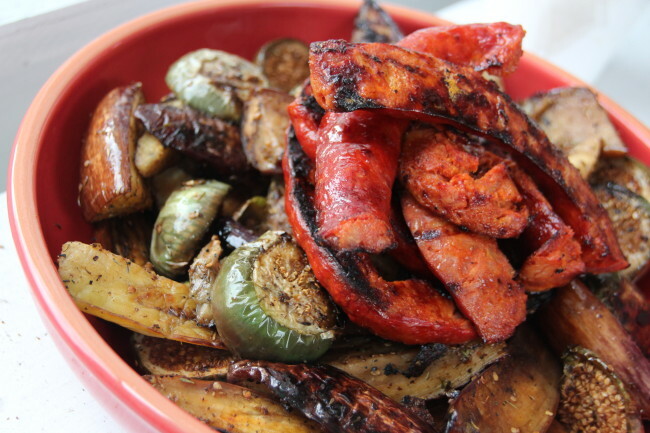 Toss well and top with grilled sausage.